NEW DELHI: The government on Saturday decided to infuse Rs 6,990 crore in nine state-run banks under new criteria which reward efficient banks with extra capital to strengthen their position. An official statement said the amount would be made available from the current year's Budget. 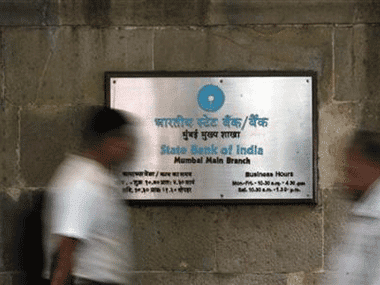 State Bank of India leads the pack with Rs 2,970 crore, followed by Punjab National Bankwith Rs 870 crore, Canara Bank (Rs 570 crore), Syndicate Bank (Rs 460 crore), Allahabad Bank (Rs 320 crore), Indian Bank (Rs 280 crore), Dena Bank (Rs 140 crore) and Andhra Bank (Rs 140 crore). The methodology for arriving at the amount to be infused in these banks has been based on efficiency parameters. "First of all, weighted average of return on assets (ROA) for all public sector banks for last three years put together was arrived at and all those which were above the average have been considered," the statement said. The second parameter that has been used is return on equity (ROE) for these banks for the last financial year. Those which have performed better than average have been rewarded, it said. State-run banks have been weighed down by rising bad loans and the government has drawn up a reform plan for the key sector. "The Government is conscious of the fact that a lot of reforms are required in the public sector banks," the statement said. The government had organized a two-day retreat of top management of state-run banks in Pune where Prime Minister Narendra Modi interacted with them to draw up a blue-print for revamping the entities. "This retreat generated an agenda in which banks were supposed to undertake certain activities individually or jointly and there were certain things which were supposed to be done by the government," the statement said. One of the general principles adopted during the retreat was that efficient banks should be encouraged. For the last few years, the government has been infusing capital in those banks which had seen equity erosion. Therefore, the new criteria have been adopted this year.